Aranha, insectoid creatures from Alpha Prime. They are everywhere. They are lethal. They are poisonous. They are killers. They are coming for you, your children, your family, and your neighbors. They are the Aranha. They are unstoppable, and will destroy everything you love. But wait! There is hope! In this guide, I will spell out the dangers of these beings from the beyond, and show you their strengths, weaknesses, and abilities. All with pretty pictures for those so inclined. What are Aranha? Well, as spelled out in the first sentence of this guide, they are insectoid creatures from Alpha Prime, the planet in which Crystite originated. After humankind colonized this piece of Prime real estate, we soon encountered these things. All went fairly well until a single fertile female Aranha stowed away on the CMS Victoria escaped. That is when this terror began its killing spree on Earth. They soon spread rapidly through the Earth’s biosphere, consuming, destroying, and rapidly upsetting Earth’s natural balance. Even now, with the Melding surrounding us, and Chosen trying to break down our doors, these things hinder us at every turn. When we call down our thumpers, they swarm is. When we try to walk from one point or another, they harass us. They are simply put, pests gone too far. 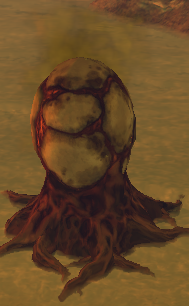 In this chapter, we will discuss the most common of these beasties found out there in the open world. Pulsating, smelly, and everywhere, these things blight the landscape, and produce the Aranha we all despise so much. 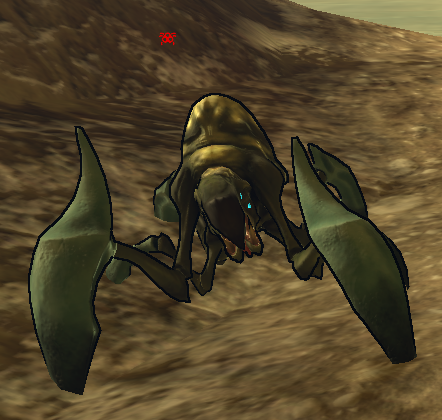 Beware, these sacs pop out of the ground in Aranha infested areas, usually accompanied by a worker. Once damaged or once a person walks in close proximity to these things, they will burst into a mist of goo, releasing two to three workers, and on occasion, and stormers. Recommended Action: Ignore or purge. Your call. Common, and in great swarms, the small worker is still a threat that should be eliminated from the world. They are the basic ambient creatures in the world. Recommended Action: It will continue to attack you until you are dead. Eliminate it. These fellows here are stormers. There are many aranha like it, such as siegers. But this one is the most common of them all, and found in the open world. They are bigger, tougher, and more colorful. But, depending on how you play it, not that much more dangerous. Their only method of attack is via a ball of corrosive acid from their vile mouths. Since we all have jump-jets, the resulting puddle of green goo on the floor can easily be avoided. Beware though, if you are caught in the acid, MOVE. The acid does damage over time, and IS NOT beneficial for your health (contrary to what some of my, “colleagues,” might say). Recommended Action: Elimination. They are actually priority targets, due to how their acid denies movement to certain parts of land at times. This makes them a major hinderence, and they should be purged as soon as possible. These seemingly harmless holes are anything but. They are the home of hissers. Hissers, while I’m not entirely sure whether or not they are Aranha, are still disgusting, and should be killed off. I mean, they drool and slobber, everywhere, and their spittle is impossible to get off your clothes. Oh, and they try to kill you too. Threat Level: Variable. Sometimes they are abandoned. Sometimes they have spawned some hissers around it. Recommended Action: Ignore. These things take a MASSIVE amount of damage to destroy. Best to leave them alone, and kill off the hissers around it. Hissers are, again, some kind of insectoid creatures. They are probably related to aranha, but I wouldn’t know. They still need to die though. All of them. Big, lightly armored, and drooling like there’s no tomorrow, they are fast little buggers. 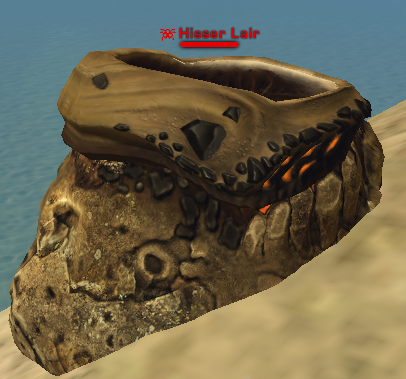 They spawn in hisser lairs. They also have a tendency to burrow under the ground when sensing people. When they walk by, they burst up from the ground, and are ready to attack. Beware when passing through their territory. Recommended Action: They can actually pack a punch. Best to kill them. For the sake of humanity, I mean. Like standard Medium Hissers, but with less health and less armor. Easy kills, in other words. Recommended Action: Kill them. Kill them all. They don’t take that many bullets. In this chapter, we discuss the common varieties of Aranha that appear during Tiny Thumper mining runs. They are fairly easy to dispatch, but beware, they always come in numbers, for the most part. 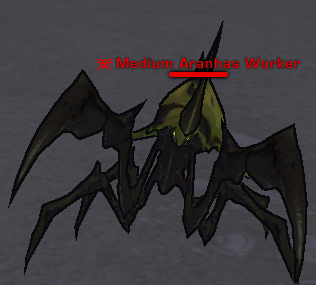 We have already covered Aranha workers, but just as a note, they are the most common enemies during Tiny Thumper Runs. The smallest, and most pathetic kind of Aranha out there. Only one usually appear during Tiny Thumper runs. They are the vanguard of the swarm. Recommended Action: Put it out of its misery. You almost pity it really. Almost. In the heat of battle, it is difficult to get a clean shot. Aranha Siegers are quite similar to Aranha Stormers. To be totally honest, I have no idea what the differences are, except some minor health and damage changes. Just kill them anyways, before they harm you, or your thumper. Recommended Action: Kill them. Again, semi-priority targets. Recommended Action: Bring a grenade launcher. You’re going to need one, because when these things come out to play, they bring friends. Lots of friends. After having NEARLY ALL MY LIMBS blown off, I got this nice, clear picture. Explosive Aranha. Their name is self explanatory. On death, they explode. On attack, they explode. On contact with a thumper, many miners faces contract in horror. These things are both incredibly lethal, and great in numbers, especially towards the end of a run. When you see them, SHOOT THEM. They also have the nasty tendency to wander. They don’t come for you right away. They take their time. Have a look at the sights. Then when that Terrorclaw is taking up all your attention, BAM. There goes your thumper. Be vigilant. Recommended Action: Do you see that Terrorclaw over there? Ignore it, this thing is more dangerous. KILL IT. AS SOON AS HUMANLY POSSIBLE. Picture courtesy of ArmorgeddonZX. Good guy. I should pay him more… Nope, can’t say that with a straight face. Icy Aranha, once again, are fairly self-explanatory. They are Aranha which are covered in ice, and on death, explode into a cloud of extremely low temperature vapour. On contact with a person, the person will experience slowed movement, impaired vision, and… Really now? “EXTREME COLD?” You know, I don’t need to hire you. I don’t need to pay you, Joe. Step up your script writing. Or else. Any ways, yeah, icy Aranha. As a side note, we aware they come in two sizes, small and medium. Small Icy Aranha have an incredibly small blast radius, and small duration of freezing. Medium Icy Aranha have a much larger radius, and a much longer freeze time. Beyond the ice explosion though, they are fairly standard workers. Recommended Action: Take them out before they reach you, the impaired vision, movement slowing, and extreme cold do take a toll on you. They aren’t that dangerous beyond that though. Oh, yes, these nasty little guys. Toxic Aranha, true to their name, have secretions that make them quite hazardous for the health of people. On death, they explode into an atomized rain of toxin, or acid, I don’t know and I don’t particularly care, but… Don’t let them come near you. Beyond that though, they’re bigger, and have a little more health. Recommended Action: Its similar explosive aranha, in how the burst of acid-venom does significant damage to all around it. Including your thumper. So target these things. Target them good. 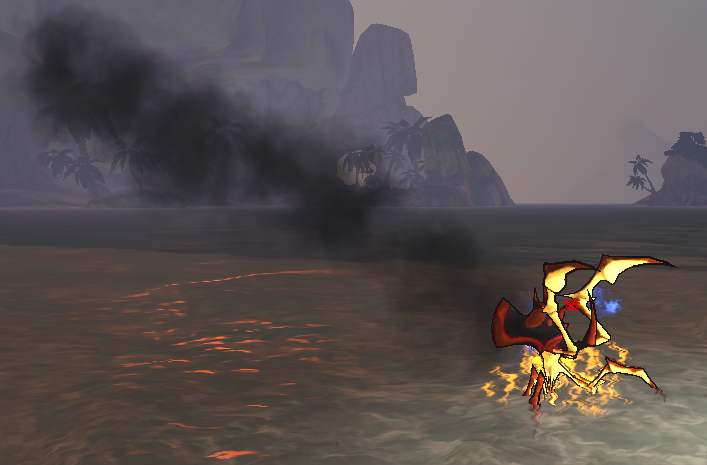 They just do less damage than those flaming things. Seriously, why are there so many of these things? Its a bigger stormer. Bet you guys didn’t see that one coming. As Professor Cato stated above, indeed, some of the Aranha need an orbital strike to bring down. This chapter covers the big guys. They aren’t the biggest, but they sure are large. And great fun to kill. I got several Terrorclaw claws mounted on my wall right now! Good times… good times… Oh yes! The guide! This person here has the right idea! Remember, aim for the squishy bits! Terrorclaws. Massive. Hulking. Heavily armored. They are a perfect combination of terror and… er, well, claws. Spawning towards the end of tiny and light thumper runs, these monstrosities take a beating. JUST LOOK AT THE PICTURE. IT TOOK A FULL PLASMA BLAST TO THE FACE. TO THE FACE. Ahem, in any case, Terrorclaws have several attacks. The first, and most iconic, the Rolling Charge, where they curl up, and tunnel right towards you. The second, is a shockwave attack, in which they produce a massive, electrically charged wave of energy, and then send it towards a target. The third is your standard melee attack. Recommended Action: Focus ALL fire on it. Aim for the face, and the unarmored areas. Simply put, you need to put this thing down ASAP. 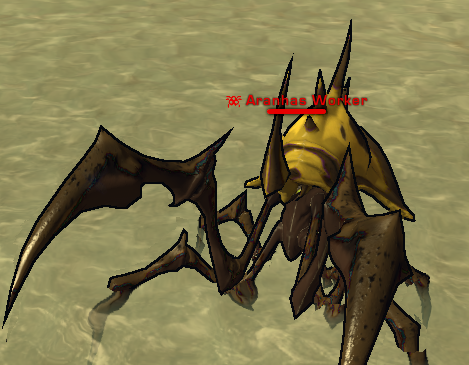 There are greater dangers though, such as Rageclaws, and *shudder* explosive Aranha though. These things don’t do THAT much damage compared to them, so prioritize. Red font because RAGE. Pictured: Rageclaw rage’n. Rageclaws are what I think explosive Aranha grow up to be. I have no idea. All I know on that topic is that they don’t nuke the SIN network when they die, so that’s good. 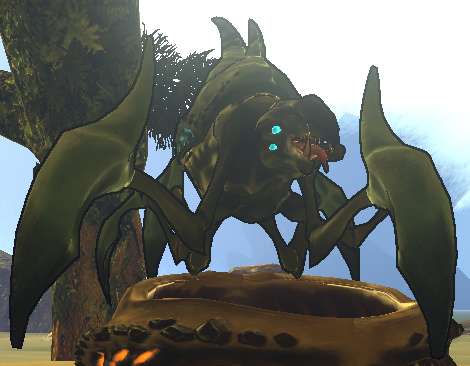 Rageclaws tend to be paired up with Terrorclaws, at the end of Tiny Thumper mining runs. These angry little things are something you do not want to find down a dark alley. Because it will curl up into a ball, and charge you, similar to the Terrorclaw. 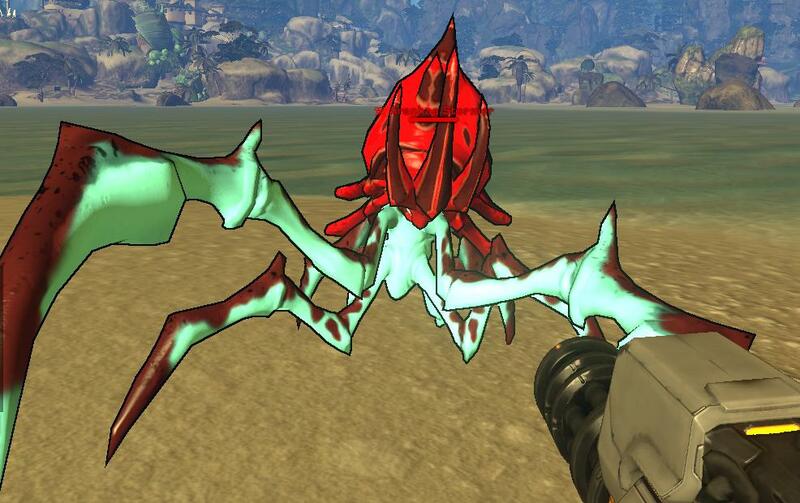 Unlike the Terrorclaw though, instead of a shockwave and a standard melee attack, they shoot balls of explosive goo at you. Repeatedly. Again and again. Until it dies, anyways. That’s where you come in. Recommended Action: KILL IT. KILL IT QUICK. It isn’t very heavily armored for its size, so concentrated fire should put it down fairly quick. Aim for the glowing orange bits. These things bring out a lot of hurt though, so be careful out there.